In desperate need of a house cleaner in Camberwell area? Then GSR House Cleaning Service Camberwell is your team to count on. Living near to the central business district has its perks but can rob you off time with family and keeping your homes, apartments and flats clean and tidy. With GSR, we will take care of your homes as we clean your living spaces from top to bottom so you can focus on more important things. 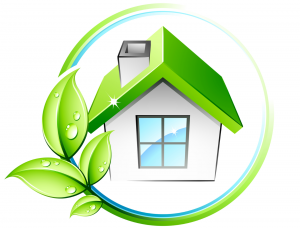 Why Choose GSR House Cleaning Service Camberwell? With GSR House Cleaning Service, you do not only gain a trusted home cleaners to work on your residential property or apartments, hotels, flats for lease. You also gain friends because we treat our fellow Camberwell locals with utmost respect and like our family. We would like to be there whenever they need help with cleaning their places and this is the same dedication that we want to offer you. You can can count on us and expect that only quality is to you. Hiring GSR House Cleaning Service Camberwell will give you the most advantage when it comes to budget planning and quality cleaning. We offer exceptional house cleaning at affordable and reasonable rates. All our home cleaning packages are guaranteed to be safe, effective and highly-efficient. We take pride in delivering quality service to our Bayside customers and nearby suburbs in Melbourne. Want to hire a house cleaning service today? Call GSR House Cleaning Service Camberwell now at 03 9547 7477 for a no-obligation consultation!